Most fitness lovers and runners don’t separate from their smartphone while working out. Nowadays smartphones are a great addition to every workout in many ways: as a fitness tracker, calorie counter, for listening music etc. Running with your phone in your hand it is possible, yet not very comfortable, but working out in the gym with your phone it’s challenging and sometimes impossible. That is why you need a quality and comfortable armband case that will hold and protect your iPhone 7 while you are working hard to get in your best shape ever! 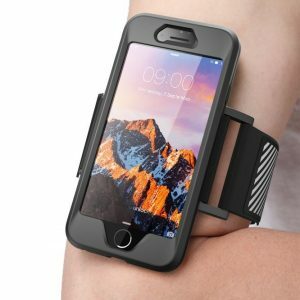 These are our suggestions of the best 5 iPhone 7 armband cases. This armband case is a perfect match for those who already have a case on their iPhone 7. 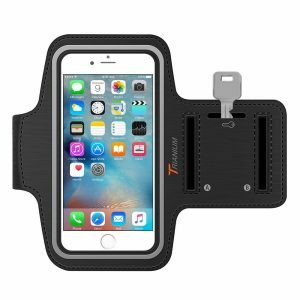 You don’t have to take your case on and off because Tune Belt armband will fit your iPhone 7 with the case. You can use it with your bare iPhone 7, but it will be a little loose. Features a sweat resistant design with no open and direct touch with the skin. This case is made of a soft neoprene fabric that will firmly hold your smartphone, but at the same time, you will enjoy your workout with comfort. Comes with an opening for your headphones, storage for excess earphone cords and a touch-sensitive cover, so you can still use your iPhone 7 as usual. 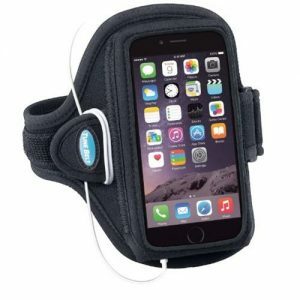 The Armtrek Pro Armband case by Trianium is made of a stretch water and sweat resistant neoprene and a screen cover that is touch screen compatible. There is a small and convenient pocket to keep your house or gym locker key while you are at the gym or running. They are also cutouts through the armband for your headphones or a charger. You can order with confidence because this armband case comes with a lifetime warranty. If anything happens, Trianium will simply send you a replacement. 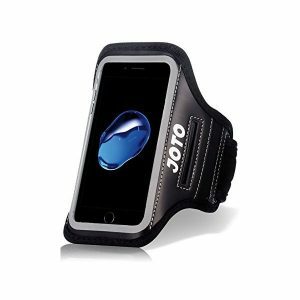 JOTO armband case is made of high-quality lightweight neoprene which is sweat proof, durable and comfortable to carry around. Think of this as your mini wallet on the go because it features space for your key, money, credit card and ID. All that fits in this small and convenient armband case, so you got everything you need with you, but you don’t end up carrying extra bulk around. Enjoy a full touchscreen compatibility and protection while you are working on your dream body! If you are a sports and music enthusiast then this is your match! 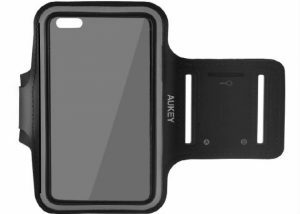 AUKEY armband case made of soft and elastic neoprene will enable you to answer calls, listen to music, use top fitness apps while exercising, thanks to the touch screen compatibility. The adjustable velcro strap will hold your device with 2 fastening options to fit any arms from 23.5cm to 42cm. You also have a built-in key slot for your home, car or gym locker keys and an earphone holder to enjoy listening to your favorite motivational workout music. This 2in1 armband case is unique in many ways. You can actually use it as an armband case and as a single case as well! The case itself is made of a highly protective silicone that will keep your phone in place during workouts, but also keep it safe and secure on daily basis without the armband. There is one extra feature that night runners will love! 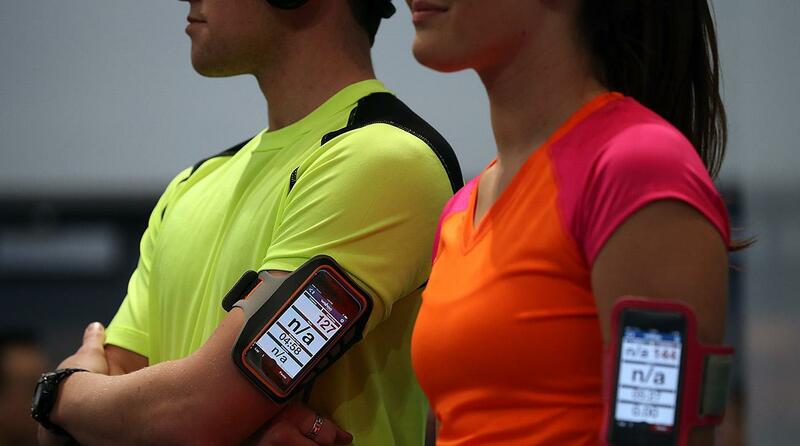 The armband has a reflective strip to make you more visible at night.